Throughout the offseason, the Oakland Raiders have had the looming cloud of Khalil Mack’s contract situation overhead the franchise. Mack is set to enter the fifth-year option in his rookie deal heading into the 2018 NFL season. #Raiders star pass-rusher Khalil Mack is not in the building as Jon Gruden begins offseason conditioning today, team sources say. That’s unusual for Mack, who does not have a long-term deal. Of note: Mack has the same agent as Trumaine Johnson, who just played 2 years on the tag. 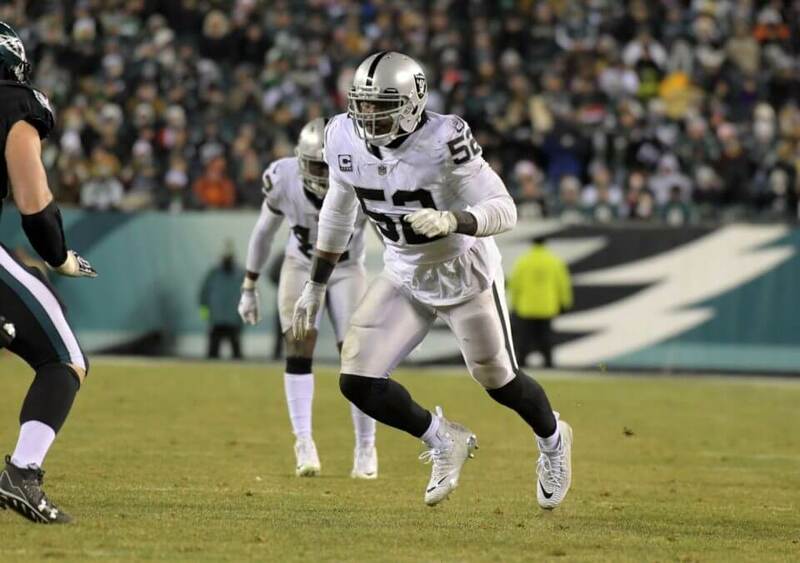 Although it is not an official public stance, Mack’s lack of involvement from the get-go does signal that he could potentially be a holdout if a new deal is not put in place this offseason. The 27-year-old is a significant piece of the puzzle defensively as the anchor of the defensive line. Mack has more than proven to be a franchise cornerstone player in his first four years in the league recording 40.5 sacks, which are the third-most by a player over that stretch in team history and fifth-most all-time. He is also coming off another productive campaign recording a team-best 10.5 sacks, which makes him the fifth player in team history to record at least 10 sacks in three different seasons. He has also racked up numerous individual honors to further cement his status as one of the premier defensive players in the league. Through his first four years, he has garnered three Pro Bowl selections, two First-Team All-Pro nods, and the NFL Defensive Player of the Year award. He was also the first player to earn All-Pro honors at two different positions. Oakland has made it clear that they highly value Mack and there were talks earlier this offseason that the two sides were progressing toward a new deal. It may just be a matter of time before a new lucrative extension will be worked out, but in the meantime, it does not look like the Raiders star defensive end will be on the field anytime soon.